The National Pest Management Association (NPMA) has confirmed that U.S. Sen. Cindy Hyde-Smith (R-Miss.) 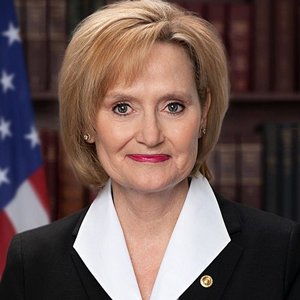 will speak during the 32nd annual Legislative Day conference in Washington, D.C. Sen. Hyde-Smith is scheduled to speak as part of the MGK “Headquarters on the Hill” on Tuesday, Feb. 26, from noon to 3 p.m. EST. Each year, MGK sponsors this luncheon, featuring a keynote speaker that concludes NPMA’s Legislative Day conference. “We are excited to have Senator Hyde-Smith speak at the Headquarters on the Hill event at NPMA’s Legislative Day. The Senator’s experience in agriculture makes her uniquely qualified to understand the benefits of structural pest management and the issues that the industry faces on a routine basis,” says Steve Gullickson, president of MGK. In 2018, Sen. Cindy Hyde-Smith was the first woman elected to represent the state of Mississippi in Washington. Prior to being elected to the Senate, Sen. Hyde-Smith was serving her second term as the Mississippi Commissioner of Agriculture and Commerce. She previously served for 12 years in the Mississippi State Senate, and was heavily involved in the Committee on Agriculture, where she served as the chairman for eight years. Currently, in the 116th Congress, she serves on the Senate Committee on Appropriations; Committee on Agriculture, Nutrition and Forestry; Committee on Energy and Natural Resources; and the Committee on Rules and Administration. As a legislator, Sen. Hyde-Smith has supported policies to promote and protect all facets of the agriculture industry through sound regulatory practices. She has received numerous awards and honors for her work as a legislator and champion of agriculture, including the Agriculture Legislator of the Year Award, the Ambassador Award from the Mississippi Farm Bureau Federation, the Achievement Award from the Delta Council, and the Outstanding Service to Small Farmers Award from Alcorn State University. The Mississippi Senator will speak during NPMA’s Legislative Day event alongside other distinguished figures to address the current political landscape in Washington. Legislative Day is an annual event which brings together hundreds of pest management professionals to proactively advocate for, and against, pertinent legislative issues affecting the pest management industry.